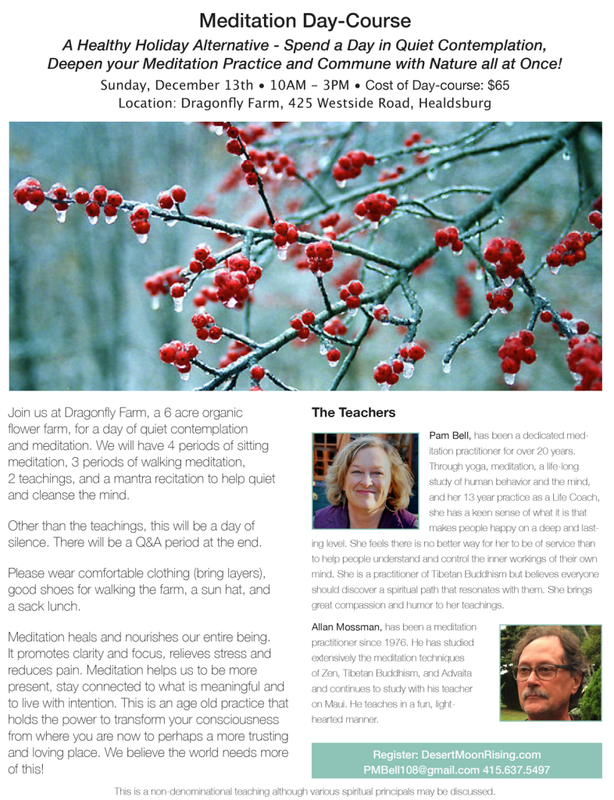 Join us for our next 8 Week Meditation Series at Dragonfly Farm in Healdsburg, CA. 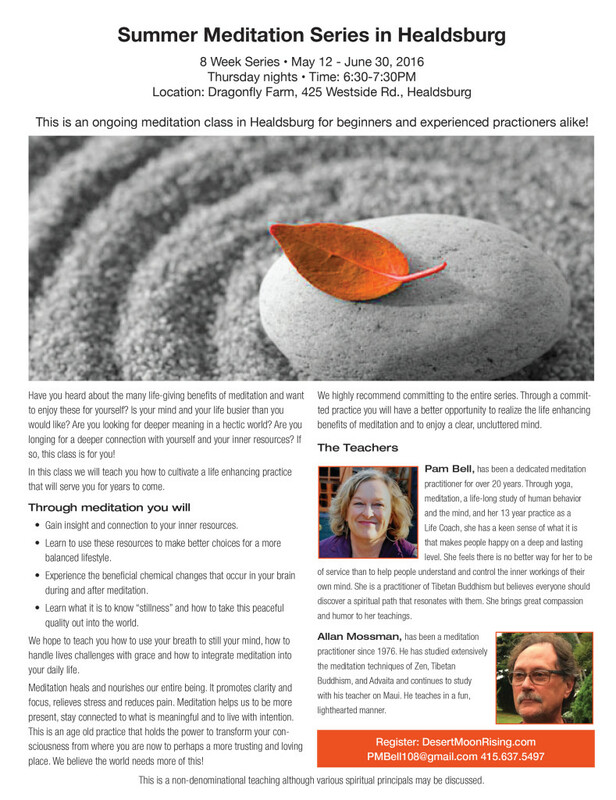 Have you heard about the many life-giving benefits of meditation and want to enjoy these for yourself? Is your mind and your life busier than you would like? Are you looking for deeper meaning in a hectic world? Are you longing for a deeper connection with yourself and your inner resources? If so, this class is for you! 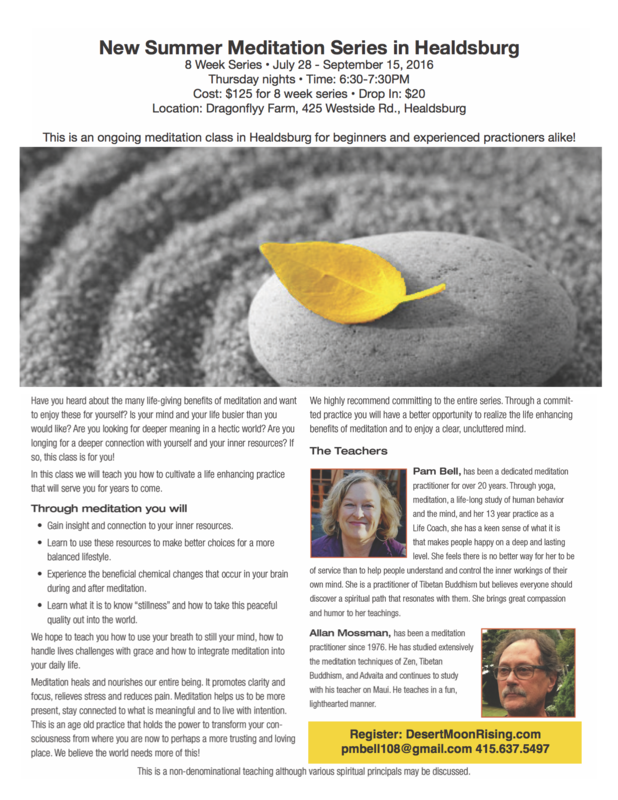 In this class we will teach you how to cultivate a life enhancing practice that will serve you for years to come. • Gain insight and connection to your inner resources. • Learn to use these resources to make better choices for a more balanced lifestyle. 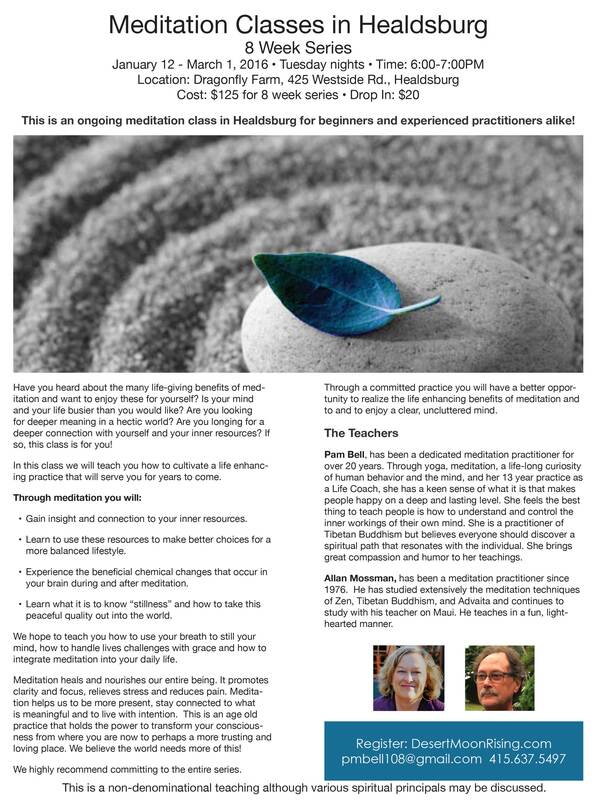 • Experience the beneficial chemical changes that occur in your brain during and after meditation. • Learn what it is to know “stillness” and how to take this peaceful quality out into the world. We hope to teach you how to use your breath to still your mind, how to handle lives challenges with grace and how to integrate meditation into your daily life. Meditation heals and nourishes our entire being. It promotes clarity and focus, relieves stress and reduces pain. 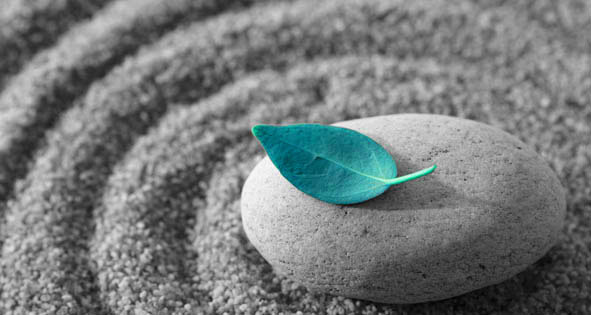 Meditation helps us to be more present, stay connected to what is meaningful and to live with intention. This is an age old practice that holds the power to transform your consciousness from where you are now to perhaps a more trusting and loving place. We believe the world needs more of this! Classes run every 8 weeks with a 2 week break in between. Sign up for the entire series and save!